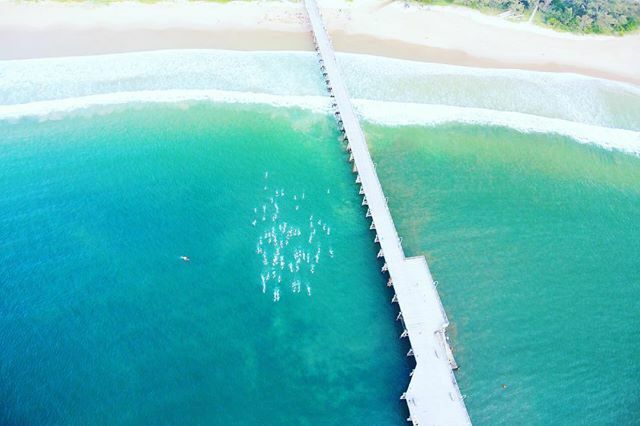 The Coffs Harbour Ocean Swim at Jetty Beach, between Brisbane and Sydney in Australia, is a charity event with 150m, 300m, 600m and 2 km races across a beautiful protected harbour. At last year's race, English Channel record holder Trent Grimsey came out of retirement to fire up his competitive juices again. 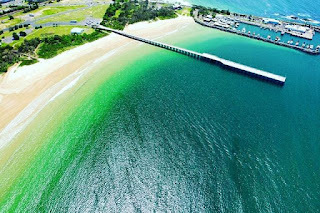 He barely lost to up-and-comer 15-year-old Ky Kinsela of Upper Orara in a 2 km race around the jetty followed by a lap inside the protected harbour. The 600m race was one lap around the jetty where 7:16 Kinsela beat Grimsey again, 7:16 versus 7:19. The 150m race for 8-10 year olds and the 300m swim is for those ages 11-14. The 2017 race will held on April 2nd. Registration is here.